Delivery of perishable products to home and workplace are becoming more commonplace. Meal kits, prepared meals, fresh meat and seafood, pharmaceutical products and even medical supplies are all modern conveniences that require temperature control. Economical one-way cold-chain solutions are required to avoid spoiling during transit and ensure goods arrive fresh and ready for consumption. Sancell offer a range of gel packs, ice packs, insulating bags and carton liners which can be mixed and matched to create a solution for your particular product, delivery and timing requirements. Scroll down to see our range. Insulated carton liners make sending perishables easy. Suited to use with recipe boxes, fresh meat and seafood, prepared meals and pharmaceutical. Contact us today to discuss size, supply and quantity options. Australia’s favourite Protecta Chill gel packs have grown to be become Australia’s favourite Cold Chain solutions! 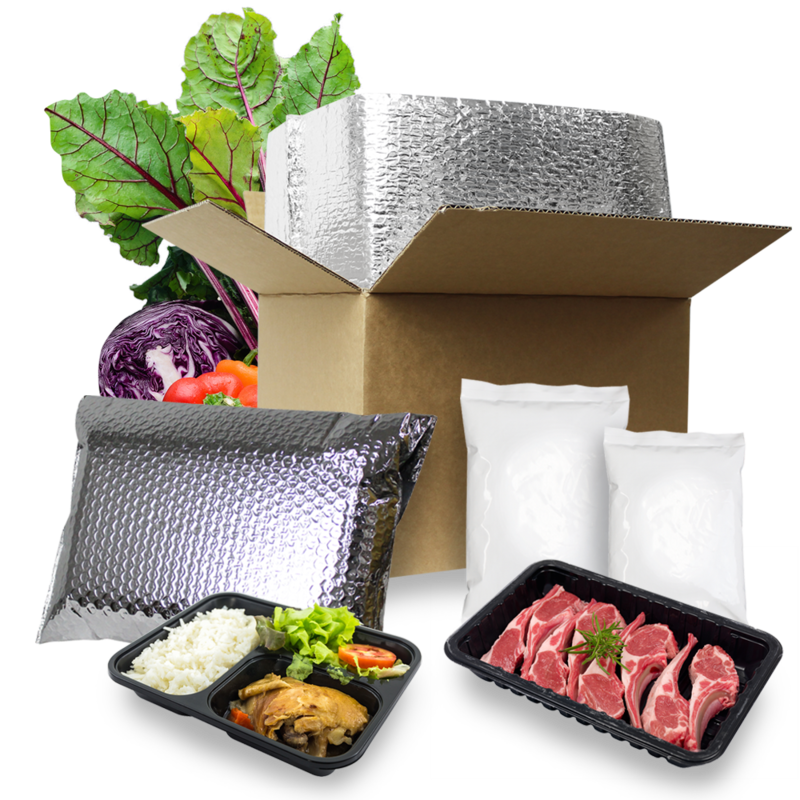 Thermal bags are a convenient way to pack, store or send your perishable products. Include an adhesive seal to lock in cold and ensure freshness. Suitable for use with a range of perishable products. Use a thermal bags with gel packs to create an easy to handle chilled parcel.